Happy Monday everyone! How are we all feeling after the Hungarian Grand Prix? Personally I was a bit underwhelmed by the events that unfolded at the Hungaroring, but a great win for Lewis Hamilton, who was as surprised as all of us by his victory I think. After Lewis said on Saturday that the team were in no position to fight for the win on race day, I thought he had a good point. 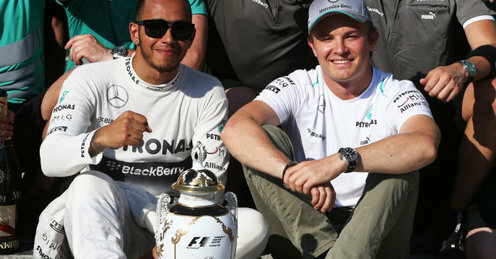 His drive was impressive and he managed his car set up spectacularly, setting 3 successive fastest laps on 39, 40 and 41. He disposed of Mark Webber twice into turn 3, which was enjoyable to watch. The awkward turtle moment for me came after the race when he dedicated his win to Nicole, from whom he’s split up – again. I can’t keep up with these people and their relationships. He should focus on his job and stop doing soul searching. The track is his ‘office’ and perhaps these issues should be left to deal with outside of the race track. My favourite comment once from Sebastian was his response when asked why we have never seen his girlfriend at the track. He responded that he doesn’t bring his girlfriend to work – brilliant. Another driver to talk about is Romain Grosjean, with whom a few drivers and stewards seem upset with again. Old Crashjean can’t seem to shake the flak he gets for his driving style. The Frenchman made a daredevil move when he swooped around the outside of Felipe Massa into turn 4 – definitely the best move of the race. However he was penalized with a drive-through penalty for ‘leaving the track’ as a result, a penalty that even Massa, whom he overtook, thought ridiculous. If stewards are going to enforce this rule then they should be a little more consistent. The lines are very blurred and some races see drivers being penalized and others not. If they were sticking to a structure then Webber would have been docked for his pass on Vettel at the Nurburgring. Similarly they wanted to see Grosjean after the race about his touch with Button, which is rather unfair seeing as they didn’t investigate Vettel’s touch on Button as well as Rosberg’s collision with Massa. Seems like all eyes are on the young Frenchman, somewhat unfairly in this race. 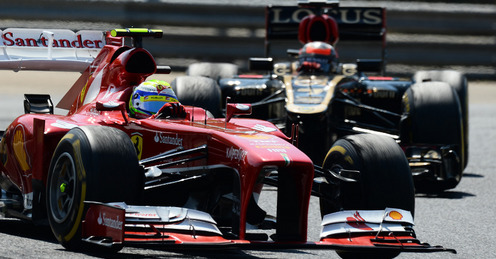 Vettel had an unfortunate ending as he got frustratingly caught up behind Button for a good deal of the race. I thought that he would perhaps steal 2nd position away from Kimi towards the closing stages of the race, but it was not meant to be. Another topic that is interesting to me is this seat that is open at Red Bull come the end of this race season. Who do you think it will go to? There has now been speculation that Alonso is in talks with Red Bull, something that Red Bull is reported to not be averse to. Personally I’d like to see Kimi take Webber’s seat, as I think we will really see Vettel’s racing quality with a strong team mate. Those two seemed to also enjoy themselves in the podium interview when Seb said that he told Kimi he didn’t leave him much space on the track, to which Kimi just laughed. I think the two of them at the same team could be fun. Another long wait until one of my personal favourite tracks, Spa Francorchamps in Belgium. See you on the 25th of August! And on a side note – is it just me or does that trophy look very much like an urn? Not sure if I’d be stoked to put that one on my mantelpiece hahaha.